We love big engines, and we cannot lie. A good engine can make all the difference, whether you’re looking for speed, torque, or even fuel efficiency. And for most of us at Butler Ford, when it comes to engines, bigger usually means better, louder, prouder, and just generally more awesome. Yet leave it to our favorite carmaker to turn that formula on its head. 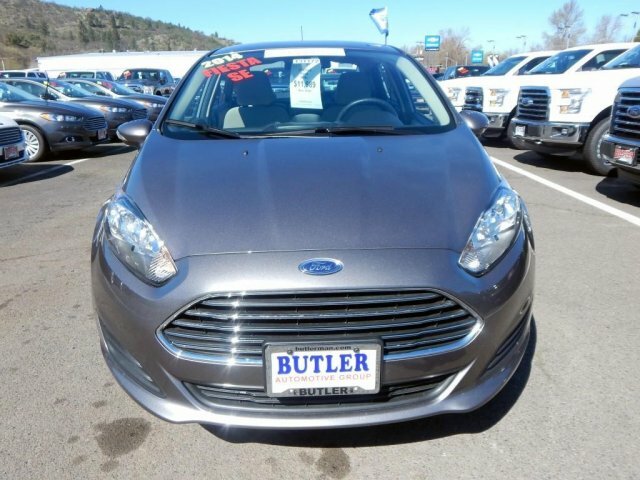 This certified pre-owned Fiesta may look like any other Fiesta from a distance: sporty and sleek, its relatively small engine balanced by its relatively spritely weight and posture. But this Fiesta has something under the hood that almost no car on the road can lay claim to: an engine small enough to make it through airport security as carry-on luggage! That’s right: Ford created a 1 liter, 3 cylinder EcoBoost engine that is so compact, it can blow the minds of TSA agents just as easily as it can blow the minds of drivers. Another company would never have tried introducing an intentionally small, space-conscious engine into a country that, as Time magazine has documented extensively, values bigger more than any market in the world. In our Fiesta, this makes for a lightweight, peppy car that’s easy on the eyes and sips fuel like it’s trying to cut back. But for the future of Ford, it has the potential to presage even more exciting developments. When you have an engine that small and light, you could put it almost anywhere. Can we interest anyone in a mid-engined small Ford truck? Our resident 3-cylinder celebrity is currently drawing looks and turning heads while standing still. If you’re interested in driving a car unlike anything on the road today, why not schedule a test drive? This car was born to run and comes with an engine that was born to fly. Just be careful to put the engine in its own tray when it goes through the x-ray machine. « Show Me the AutoCheck!